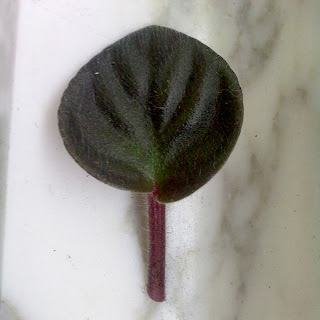 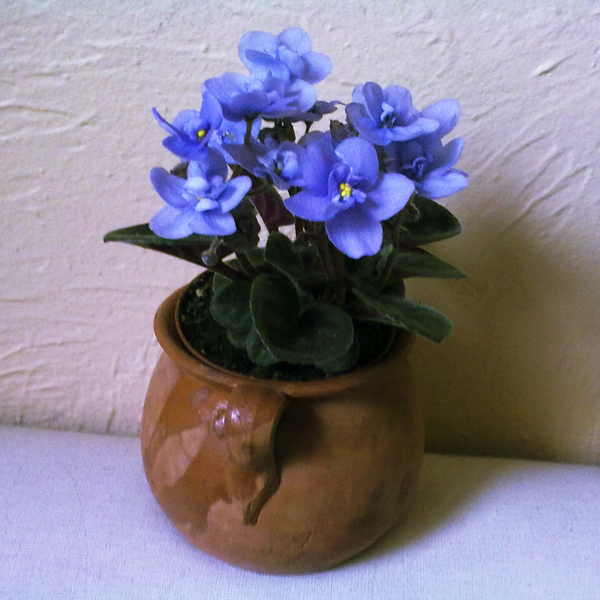 This is the newest addition to my plant family: a beautiful blue miniature African violet. 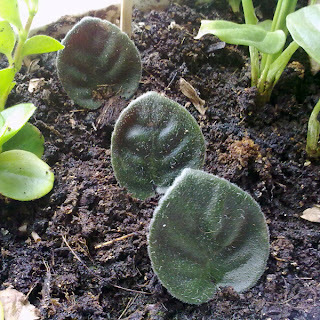 Put them in moist pot soil. The soil shouldn't be too wet, but don't let it dry out either. 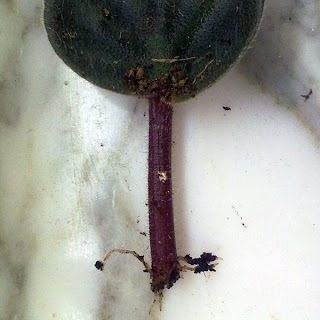 2-4 weeks later, roots will start to develop at the base of the stalk.